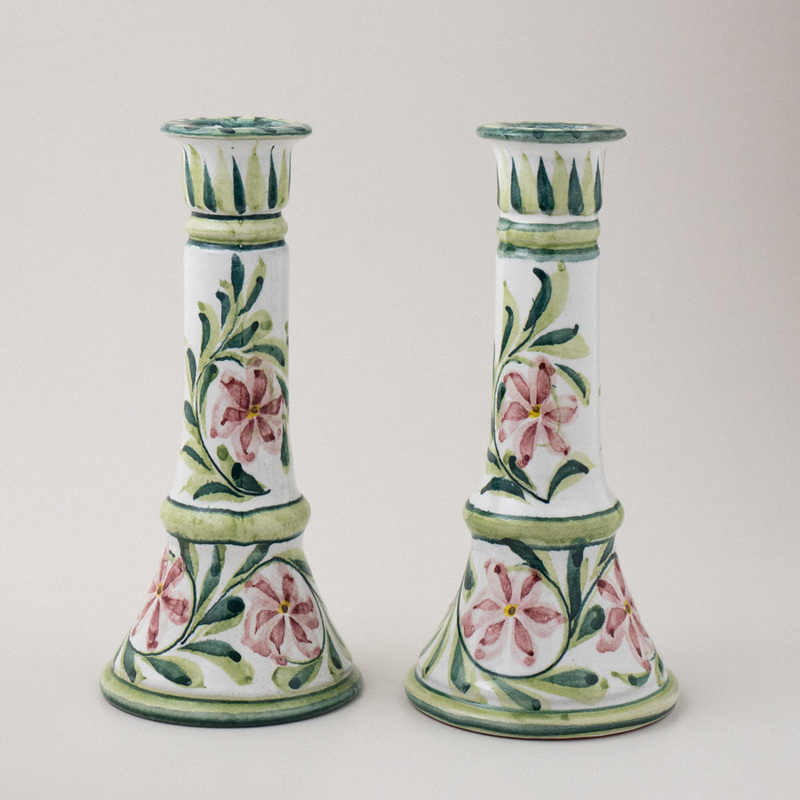 Two medium sized candelsticks in a traditional form, both are decorated with delicate, open red flowers by Carmo dos Santos. 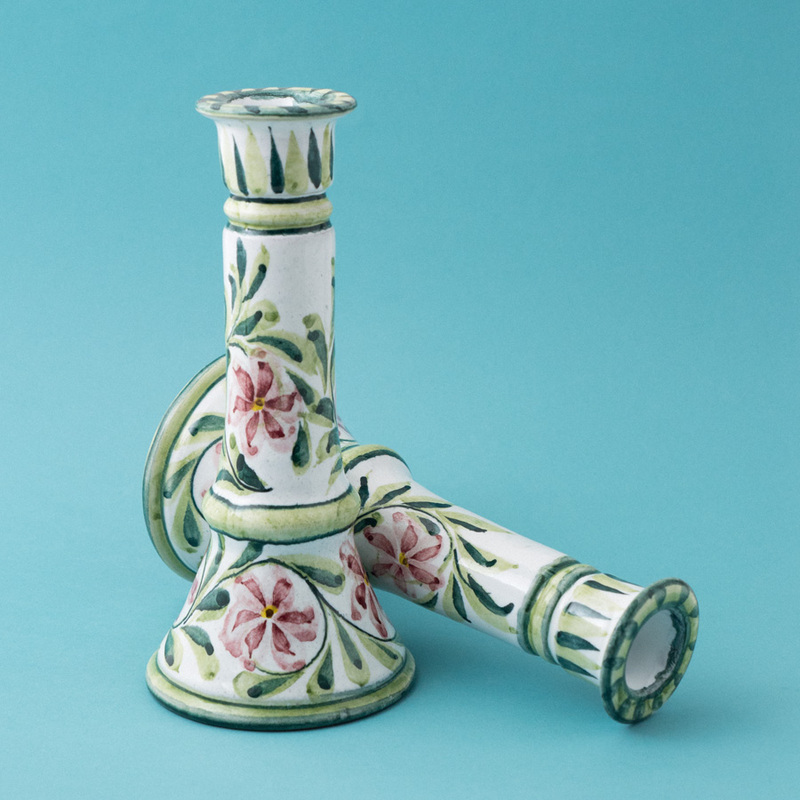 The candlesticks are hand-thrown and hand painted so there will be some variation between the two, which is one of the things that lends them such charm. 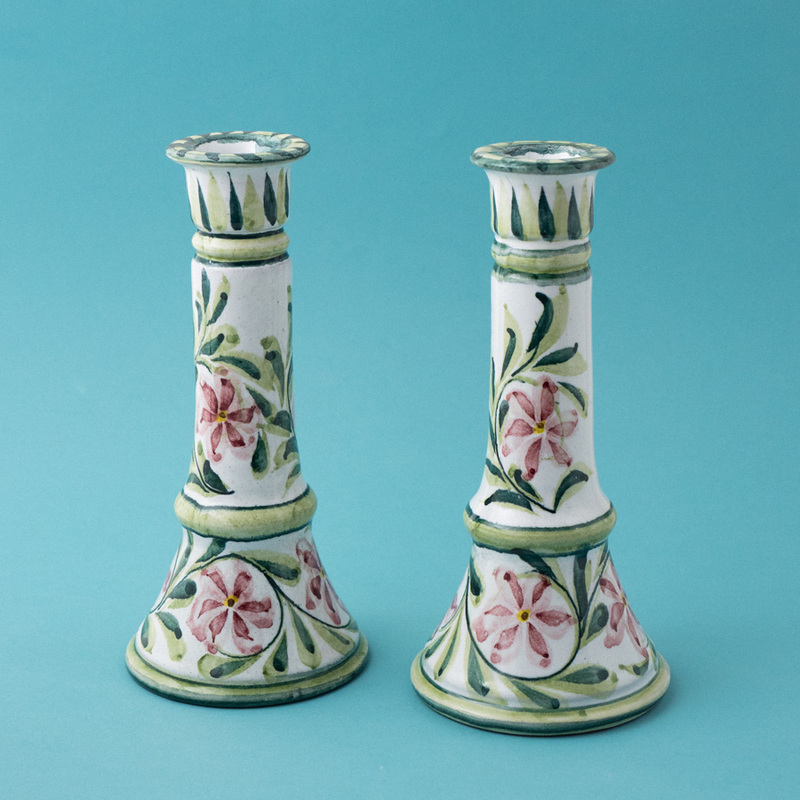 The colours in this pair of candlesticks will match well with the pink and green Rambling Rose collection on our site. Approximate dimensions; height: 23cm, diameter of base: 10cm.